Zero day in Duluth was a great rest. I caught up on site comments and email, washed me and clothes, and rested the legs. I'm ready to get back on the trail tomorrow morning. Bryan will drive me back and then head home. It was great spending a couple days with him and sharing skills, advice, and views on life. The weather wasn't great but he weathered it :-) in good spirits. 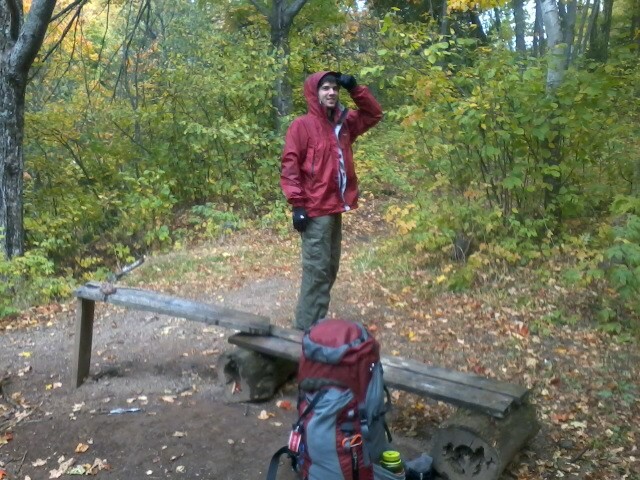 Hopefully, we'll get to hike again. Now, I'm looking forward to meeting new folks on the trail over the next week until I arrive right back here next Sunday - if all goes well. There's still time for you to start your ScoutStrong PALA program while I'm hiking, or join me for a day or two - Check out my current location on the map.